You are here: Home » Blogging » How do Fed Rate Hikes Affect Mortgages? Eeeeek! Rates are going up … or are they? Last week, for the first time after years of historically low rates, the Federal Reserve decided to raise short-term interest rates. For Loft buyers, any rate hike often is seen a negative, but here are some reasons why this rate increase is good. First of all, understand that the interest rate hike was NOT on mortgages. The Federal Reserve does not directly control interest rates on mortgages. What the Fed does control is the overall money supply. By raising interest rates at the Fed level on the “Federal Discount Rate,” they have begun a trickle-down effect that will begin to tighten the money supply. This makes it more expensive for commercial banks to borrow money and so decreases the amount of money available for short-term borrowing. For the Federal Reserve to take such a bold step after years of low rates means that the Federal Reserve Board believes that the economy has improved enough that it can withstand an increase. Because the Federal Reserve has a mandate to achieve maximum employment rates AND keep prices relatively stable (curb inflation), raising rates means that employment levels have improved. An improved economy is a good sign that Loft buyers will be able to afford to buy a Loft. The discount rate does NOT directly influence mortgages. Mortgage-backed securities (bonds made up of pools of mortgages) track with the percentage yield on 10-Year U.S. Treasury bonds. Regular mortgages follow the mortgage-backed securities. 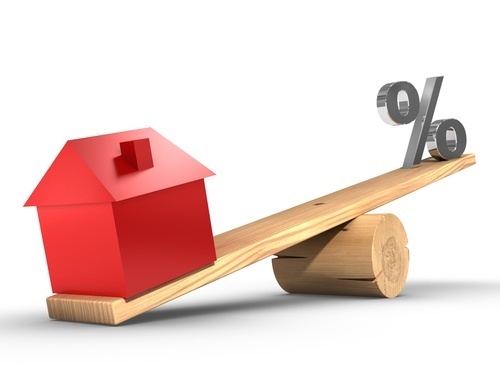 While some mortgage rates increased slightly after the announcement, the bond markets have not settled on rate hikes, so the could end up either higher or lower once it becomes apparent how the economy reacts to the Federal Discount Rate increase. Because of the dual mandates of the Federal Reserve (low unemployment and stable pricing), the increases should be gradual rather than quickly increasing hikes because the Fed needs to make certain the economy is keeping pace with the increases. While it seems counter-intuitive, the Fed would like to see inflation rise slightly and this move is one way they can affect inflation in a gradual manner. Yes, your mortgage rates might increase a bit, but so will the interest on your savings accounts and securities. You’ll begin to see higher offerings on CDs and other interest-based income streams. The current generation of Loftbuyers has not experienced high rates. Most millennials or Generation Xers do not remember when mortgage interest rates were in double digits and may fear the worst, but the changes in mortgage interest rates, at least for the near term, won’t increase their payments by more than their designer coffee or energy drink habits.